BEIJING, Jan 30: Though China has signed and ratified an international document allowing religious freedom, and even mended its Constitution to allow freedom of religion, it is still very harsh on Tibetan Buddhists, often denying them of their rights. 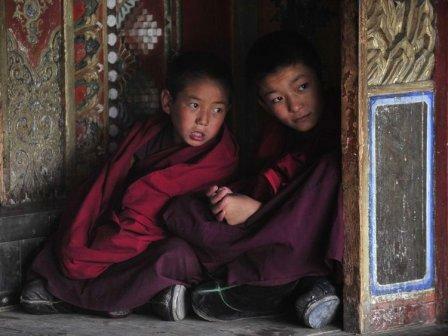 A county in China’s Qinghai province, which is adjacent to the Tibetan Autonomous Region, has banned Tibetan children from attending informal classes at local monasteries, Human Rights Watch reported on Wednesday. The ban, officially published last month, “violates a long list of basic rights, from education to cultural life”, said HRW China Director, Sophie Richardson. “Preventing Tibetan children from contact with monks and monasteries will only fuel Tibetan fears that China aims increasingly to restrict Tibetan culture and religion,” she was quoted as saying by Efe news. According to the report, the informal classes taught by monks have become popular in the areas inhabited by Tibetans during school holidays, especially to teach their language, which is used less and less in many public schools. Nangchen County authorities banned these classes in December 2018, considering them illegal and describing them as “ideological infiltration among the young”, “dangerous”‘ and “harmful”. The county authorities also called on local officials managing monasteries to “understand the harmful nature of monasteries running open schools” and prevent them from doing so and expelling monks organizing such sessions. According to HRW, such bans were not applied outside Tibet and it believed that the regime suspected monks were using these classes to instill Tibetan religious or nationalist ideas among children. “Treating voluntary study classes during the holidays and family visits to temples as ‘dangerous’ reflects Beijing’s hostility towards Tibetans’ rights. That’s the real threat to Tibetans and China’s other religious minorities,” said the HRW China Director. HRW said that China had ratified international conventions guaranteeing freedom of belief and included this right in its own Constitution. The country had also promised not to deny ethnic, linguistic or religious minority children the right to use their own language and practice their religion. “But in practice, authorities limit worship to what they define as ‘normal’ religious activities, which it says are legal only if carried out by certain state-sanctioned congregations and institutions,” the non-governmental organization said in a statement.